Classy and eye-catching, these teardrop earrings are sure to gather compliments at your prom or any special occasion. 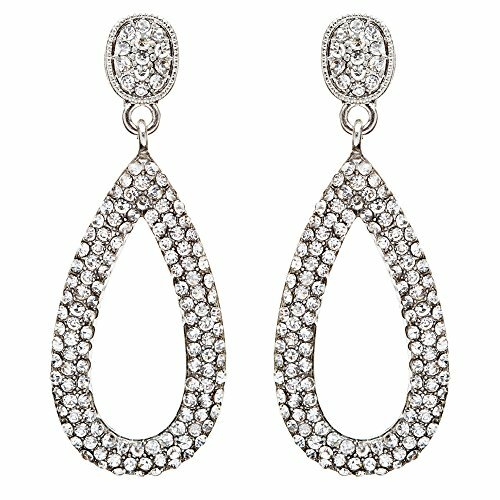 The pair is designed in a cutout teardrop pattern and embedded with crystal studs to catch glimmer and shine. The posts begin with a small teardrop stud and continue to a larger teardrop design that allows for the most movement and grace in an earring. At two inches, the earrings are large enough to be worn with long hair and still be noticed. Be noticed on any occasion with these lovely earrings.